MONDAY, May 16, 2016 (HealthDay News) -- Temporarily raising the body temperature of people who are depressed seems to ease symptoms for up to six weeks, a small new study finds. 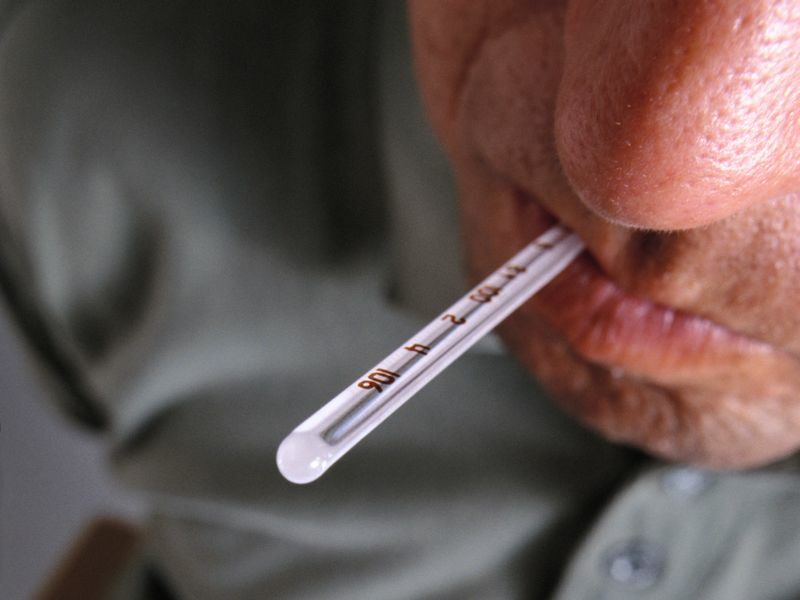 The treatment, known as whole-body hyperthermia, essentially gives patients a mild, transient fever, the researchers explained. Similar to some antidepressant drugs, the treatment is thought to work by activating a part of the brain that produces the chemical serotonin. This brain region is less active in people with depression, the researchers explained. "Our hope is to find better and faster-acting treatments for depression than the antidepressants currently in use," said lead researcher Dr. Charles Raison of the University of Wisconsin. "We think that using heat to stimulate the skin activates serotonin-producing cells in the mid-brain, which then produce a change in how the brain functions," he explained in a university news release. "In a way, one might think of this pathway from the skin to the brain as a deep-brain stimulator crafted by evolution. We tap into this pathway because heat makes the brain feel happy." There could be another reason for the effect, said study co-author Christopher Lowry. He pointed out that depression is associated with ruminating, and heating the body might force people to shift their mental focus from their own negative thoughts to the world around them. Lowry is associate professor of integrative physiology at the University of Colorado-Boulder. One expert who reviewed the findings said the approach was "innovative." "This study is refreshing in its attempt to approach treatment of major depressive disorder in a unique and perhaps more palatable way than the traditional pharmacological one," said Dr. Devon Addonizio, a psychiatrist at Lenox Hill Hospital in New York City. But he pointed out some limitations with the study. "The very small sample size [29 patients] calls into question how much confidence one can have in the results," he said. "Larger scale studies would be needed to see if these findings can be replicated." Also, people who got the treatment "had significantly higher expectations of successful treatment to begin with," perhaps skewing the results, Addonizio said. In the study, the researchers evaluated more than 300 possible volunteers for depression, using a standard scoring system. They found 34 patients with moderate to severe depression. Five of the volunteers dropped out, leaving a total of 29 patients in the study. The researchers then used a tent-like, whole-body hyperthermia device to raise the body temperatures of 15 of the patients to about 101.3 degrees Fahrenheit. The patients got inside the tent-like device. Infrared lights and heating coils heated their chest and legs. Once their body temperature increased, the heat was turned off and the patients cooled down for one hour. The remaining 14 participants were randomly assigned to a "sham" procedure. These patients were told to lie down inside the hyperthermia device with fans and lights on but they were exposed to much less heat than those who received the actual treatment. Neither the researchers nor the patients knew if they received the real treatment or the sham therapy. "Our sham intervention was so realistic that most of the participants (10 of 14) thought they were receiving the real treatment," Raison noted. One week after treatment, the researchers re-evaluated each participant's depression symptoms, based on the same scoring method. Additional evaluations were conducted every two weeks for six weeks. The researchers found that 60 percent of the patients responded to treatment and 40 percent met the criteria for remission from their depression. The real hyperthermia therapy improved depression scores a week later by an average of almost 5.7 points above that produced by the sham treatment, the study found. At six weeks after treatment, the real treatment had still improved depression scores by about of 4.8 points. "We were surprised to see that the effect (of reduced depression symptoms) was still present six weeks after the initial treatment," Raison said. Self-reports from the volunteers also showed their symptoms of depression had eased slightly. The participants reported only minor adverse effects from the treatment. The study authors said their results are encouraging, but larger studies are needed to determine exactly what temperature is most beneficial for patients and precisely how long people should be exposed to the heat. The findings were presented recently at the annual meeting of the Society of Biological Psychiatry in Atlanta. The study was also published online May 12 in the journal JAMA Psychiatry.